When Henry Hudson explored the Delaware River in 1609, he dubbed it “one of the finest, best, and pleasantest rivers in the world.” Today, those same qualities make the Delaware one of the most popular rivers for recreational use in the United States. Although in places a near-wilderness, the Delaware is easily accessible to millions of residents. On any summer day there may be thousands of people rushing down its exciting rapids or lazing through its serene eddies. 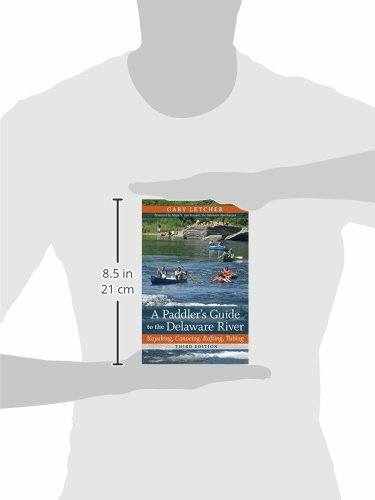 A Paddler’s Guide to the Delaware River is an indispensable resource for anyone who wants to experience the Delaware River in a kayak, canoe, raft, or tube—or, for that matter, an automobile or an armchair. Reading the book is like travelling down the river with an experienced guide. It charts the non-tidal Delaware 200 miles from Hancock, New York, to Trenton, New Jersey, describing access points, rapids, natural features, villages, historical sites, campgrounds, outfitters, and restaurants. The Delaware comes alive as the author introduces some of the people, places, events, and controversies that have marked the river from earliest times to the present day. An overview of the river including watershed, history, place names, paddlecraft, safety, and fishing. The River Guide: ten sections that can each be paddled in one day (about 20 miles), with a mile-by-mile account of rapids, access, natural features, historic sites, and other features. All new maps, with names for virtually every rapid, eddy, and other river feature, plus detailed diagrams for routes through even the most severe rapids. Features in the River Guide highlight the people, events, natural history, and communities that define the river experience, such as Tom Quick, the infamous “avenger of the Delaware”; the mysterious migration of eels, the battle over Tocks Island Dam; and many others. Appendices of Important Contacts, Outfitters and Campgrounds, River Trip Checklists, and more. 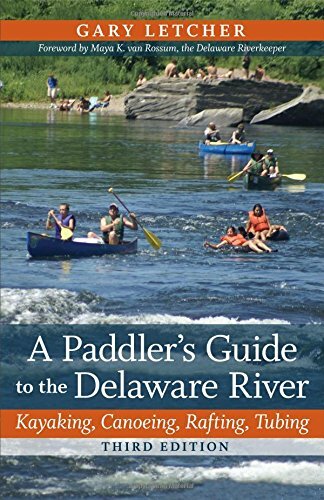 Whether you are a novice out for an afternoon float, a seasoned adventurer on an overnight expedition, or a resident fascinated by the lore of the Delaware Valley, this book is an invaluable guide. 1997 revised edition features new maps, guides to river outfitters, campgrounds, information for river conditions, and new photographs. Softcover, 228 pages. 5 1/2 x 8 1/2 x 1/2 inches.